Sarah Newburgh, marketing manager, Stella Artois, says people are spending money on Father’s Day (about $95 per person in 2013, according to a BMO Bank of Montreal study) but aren’t talking about it like they do their Mother’s Day gifting. That insight is the reason behind the Stella Artois Gifting Shoppe in Toronto, a new store that has popped up on Queen St. West until June 15 in partnership with men’s retailer Gotstyle. 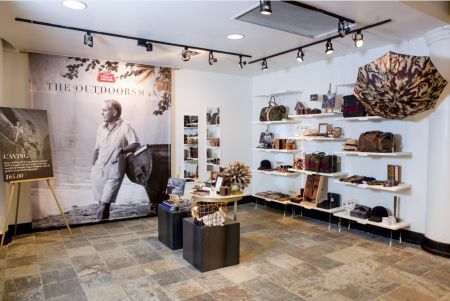 Newburgh says the store will feature hand-picked gifting ideas for fathers under the categories of sportsmen, globetrotter, craftsmen and outdoorsmen, with personal shopping appointments available to be booked through StellaArtoisShoppe.ca. In addition to the items from Gotstyle, the shop will be selling the Stella Artois chalice, with the option of getting the cup engraved with a message or name for Father’s Day. The pop-up store launched on June 1 and if successful will be extended to other gifting occasions, says Newburgh. Labatt, which distributes Stella Artois in Canada, started with Father’s Day because of the brand’s target of men who skew a bit older than LDA. Stella’s gift shop will be promoted through a social media advertising push along with ads in the print editions of Toronto Life and Sharp. Media in the campaign was from UM, with experiential from Mosaic and PR from Veritas.